Perfect for a pick-me-up or welcome to the neighborhood, the blooms are as Sweet as Summer in this basket. 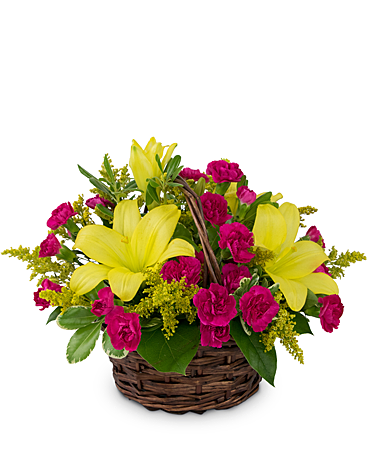 Yellow lilies and bright pink carnations evoke memories of sherbet and sunshine. Carefree times are sure to come with this hand delivered wicker basket.